Summer camp! Archery, canoeing, friendship bracelets, and horseback riding! 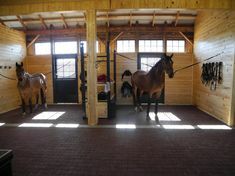 Your horse has a stable for shelter. Your horse has a pasture. But does your horse have a shelter in the pasture? Run-in sheds, or loafing sheds, are a necessity for many turn-out areas. Horses need to be able to get shelter from heavy weather or excessive heat or frigid winds. Trees, though nice, don’t always fit the bill. They can let heavy rains through, and are no protection at all from hail or lightning. And branches laden with snow or ice create a serious risk. Could your favorite breed of horse go extinct? When we think of extinction, we typically picture wild animals who are suffering from loss of habitat. But it’s not just exotic or wild creatures that are in danger of disappearing forever. There are horse breeds who are on the brink. You could argue that they’re suffering from loss of habitat, too–lost jobs, barns, and pastures when the Industrial Age replaced horses with machines. Ready for something new with your horse? Maybe it’s time to think outside of the traditional disciplines. These three new horse sports aren’t necessarily brand-new, but none of these disciplines fit into the classic English/Western molds most of us are accustomed to. And that’s precisely the appeal for many riders! 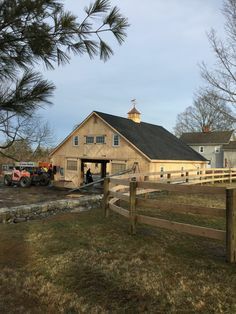 Not everything in your barn needs to be an expensive speciality item from the tack shop — it just seems that way sometimes! In reality, there are plenty of everyday items available at the people store (that’s where you buy that regular stuff like cereal and toothbrushes, different than the tack shop) that are great around the barn. Here are five barn essentials (and a few bonus items) to put in your cart the next time you’re at the discount store.